← Do you have an AED program in your organization? 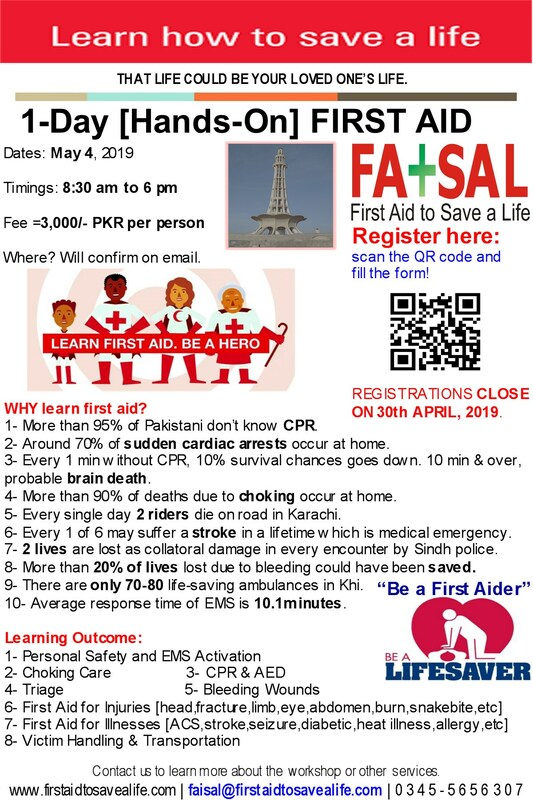 Today, First Aid to Save a Life Pakistan want to show you the difference between our training programs and the programs offered by other training providers in local market. We have prepared one short presentation on this for your information and sooner will upload a video where we show you our original course book and other facilities, so you can imagine our commitment and dedication towards quality of education and services we offer to you. We will be please to reply if you have any comments. This entry was posted in Advanced First Aid, Basic First Aid, CPR and AED, First Aid, First Aid and CPR, First Aid CPR and AED, First Aid Training Programs, Industrial News and tagged Basic Life Support Training Programs, CarePlus CPR and AED for All verses other training programs, Children and Infants, course comparison, CPR and AED for Adults, registered vs non-registered training programs. Bookmark the permalink. You made some first rate factors there. I regarded on the internet for the difficulty and located most individuals will associate with together with your website.